Take a 400 metres walk downhill through a chestnut forest and you will find a beautiful stream with a small cascade and natural pond where you can swim and splash about. there are two nearby little lakes to go swimming in, one with a small beach, a simple water glide and waterbikes to rent. 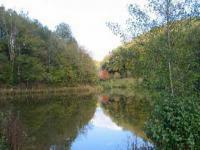 The rivers Tarn and Rance offer numerous places for bathing and swimming. 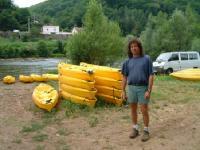 In Trebas-les-Bains, a lovely village on the river Tarn you can rent canoes to go downstream. At the end of the track you may be picked up and brought back. There is also a wide stretch of grass to sunbathe and swim, have a picknick or barbecue, play jeu de boule, soccer or volleyball.